Shruti Gakhar is an analyst at BGA’s office in New Delhi, India. She conducts research and monitors and analyzes business and investment trends, including legislative and regulatory developments, across sectors to support client needs in India. Prior to her current role at BGA, Shruti worked at the Brookings Institution’s India Center in New Delhi as a development officer. She was responsible for maintaining the organization’s funding portfolio and engaging with key stakeholders to further Brookings India’s work. 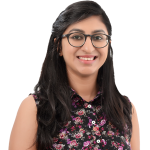 Earlier Shruti worked at Brookings India as a research assistant, conducting research in the areas of financial inclusion, health, education and trade. She co-authored a paper titled Advancing Financial Inclusion in India beyond the Jan Dhan Yojana, along with multiple briefs on a wide range of issues affecting India’s socio-political environment. Shruti has a master’s degree in international economic policy and a bachelor’s in business management from the University of Westminster in London.